Add support for several Sony digital cameras that feature remote control over WiFi. Supported models include: DSC-QX1, DSC-QX10, DSC-QX100, DSC-QX30, A7, A7R, A7S, A7II, A5000, A5100, A6000, NEX-5R, NEX-5T, NEX-6, DSC-HX60V, DSC-HX400V, DSC-RX100M3, DSC-RX100M4, and more all the time! Using the Sony camera’s WiFi interface, Instant Photo Booth is able to show a live view, capture images, and automatically transfer them to your computer and into your current photo booth session. The functionality is the same as a webcam, but with much higher image quality. Some supported Sony models can even trigger professional flash units. Note that the DSC-QX10 and DSC-QX100 must have the latest firmware update from Sony! Why not other brands of camera? Sony is a very forward-thinking company and has been an early adopter of built-in WiFi controls. The other big DSLR companies are only now beginning to think about WiFi control. As soon as they provide a public programming interface, like Sony has, Instant Photo Booth will add support for them. Unfortunately, neither the existing Canon nor the existing Nikon programming tools are compatible with Universal Windows Apps. Your Sony WiFi-enabled camera creates its own hot spot. Depending on the camera model, using your camera with Instant Photo Booth can be as simple as connecting your computer to the camera’s hot spot. Instant Photo Booth will detect the camera automatically and lead you through the setup process. Just turn on your DSC-QX1, DSC-QX10, DSC-QX100, or DSC-QX30, and connect your computer to its hot spot. 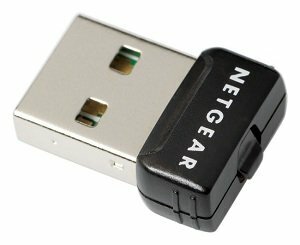 Use a second WiFi adapter – By using a second WiFi adapter, your PC can be connected to both the Sony camera and the Internet, providing access to social media posts from Instant Photo Booth. 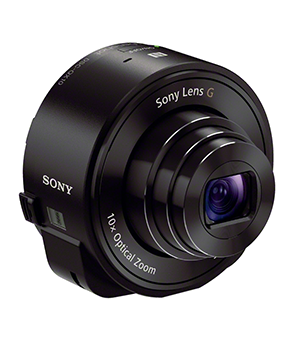 Use the lowest possible image resolution – The Sony QX models allow you to select from a list of resolutions. All other models allow you to select between preview and full resolutions. To minimize lag time between shots, select the lowest possible resolution. The lowest resolutions are still larger than a webcam and of course, much higher quality. If you are having connection problems, try this… – Windows hands the first network adapter it finds to Instant Photo Booth as a camera connection. But that is sometimes not the adapter to which the camera is actually connected, especially since Bluetooth is considered a network adapter. Follow these steps to force the connection. NOTE that you will only have to do this once. Open the Windows Control Panel / Network and Internet / Network Connections settings. This is accessed via “Change adapter options” in the Windows 10 Network & Internet settings. Disable all network connections, including Bluetooth, except for the one to which your Sony camera is connected. To disable an adapter, right-click on its icon and click Disable. Uninstall and reinstall Instant Photo Booth to force a reset of all its settings. Go into the Manage WiFi Settings in the Windows settings and remove the known network for the Sony camera. This will make Windows forget the wrong adapter it used before. With only the one WiFi adapter enabled, connect your PC to your Sony camera’s WiFi hot spot. Launch Instant Photo Booth and go through the camera set up process. Instant Photo Booth should now connect properly to your Sony camera. Once it is working, Windows will remember which network adapter goes with your Sony camera’s hot spot, and always give that to Instant Photo Booth. This is remembered in the Known Networks area of the Windows Settings. Now you can turn on any other network adapters, including the Bluetooth network adapter, and Instant Photo Booth should continue to connect to your Sony camera whenever you launch the program.